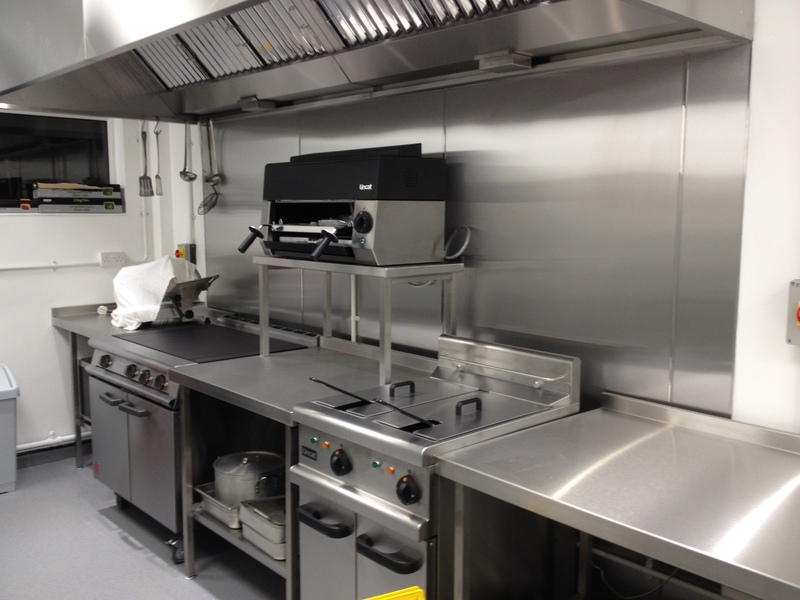 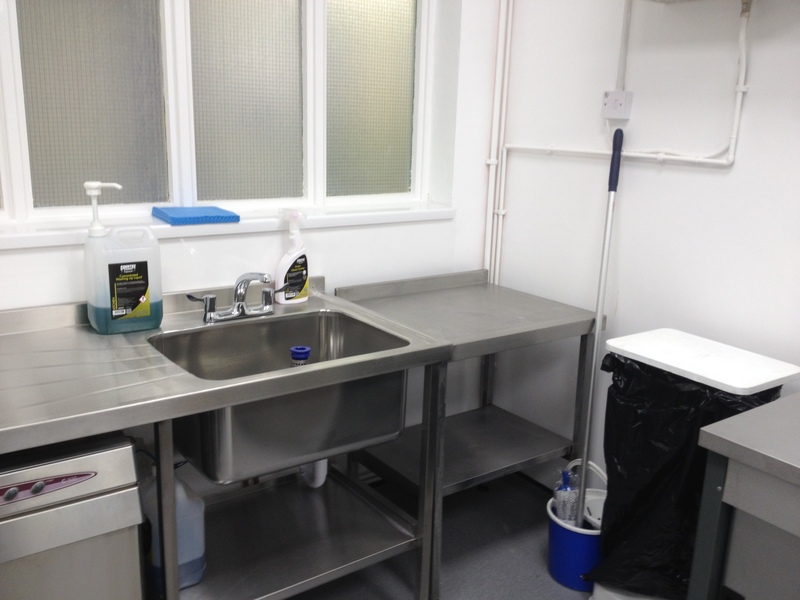 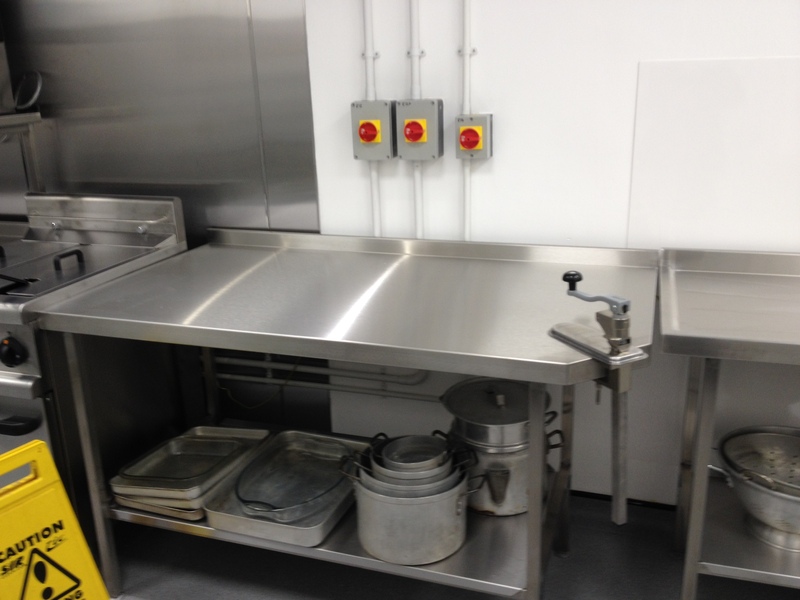 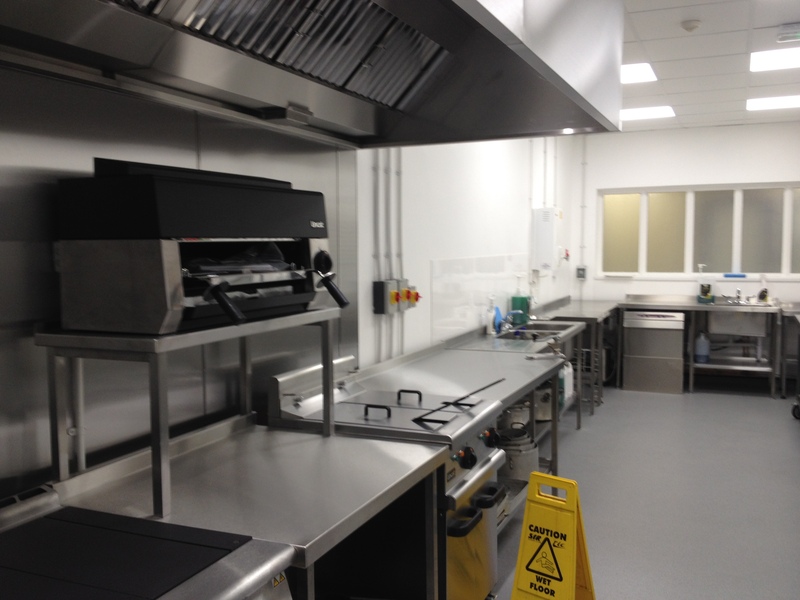 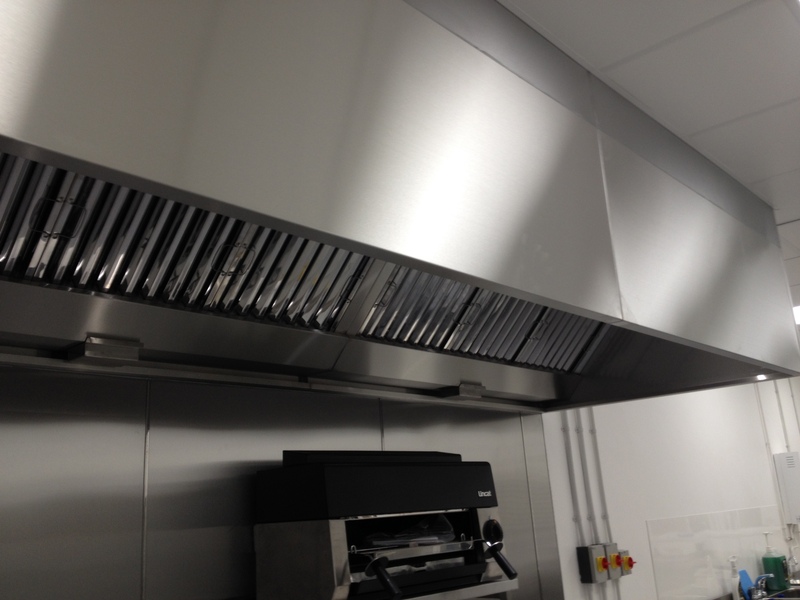 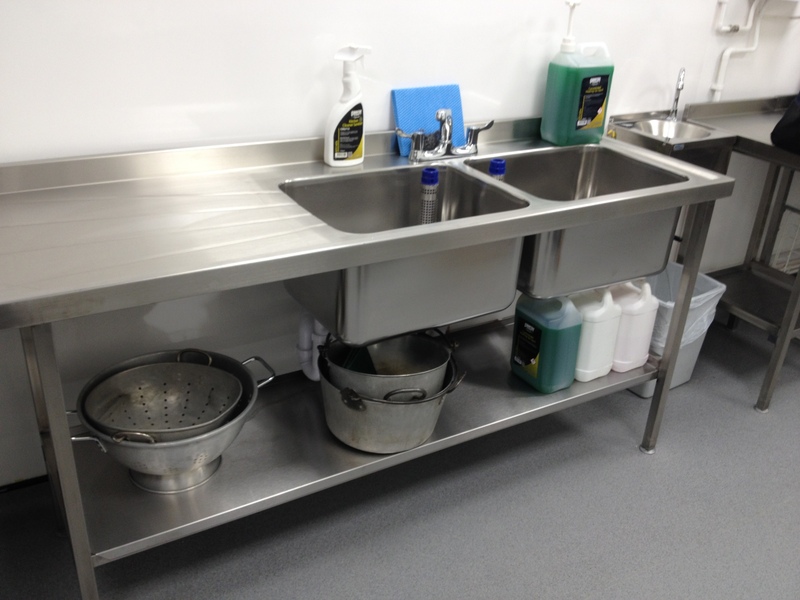 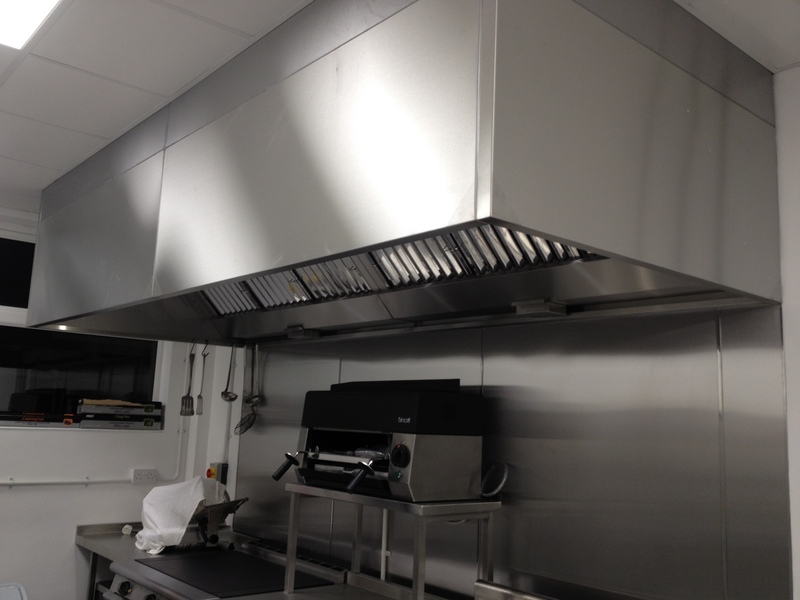 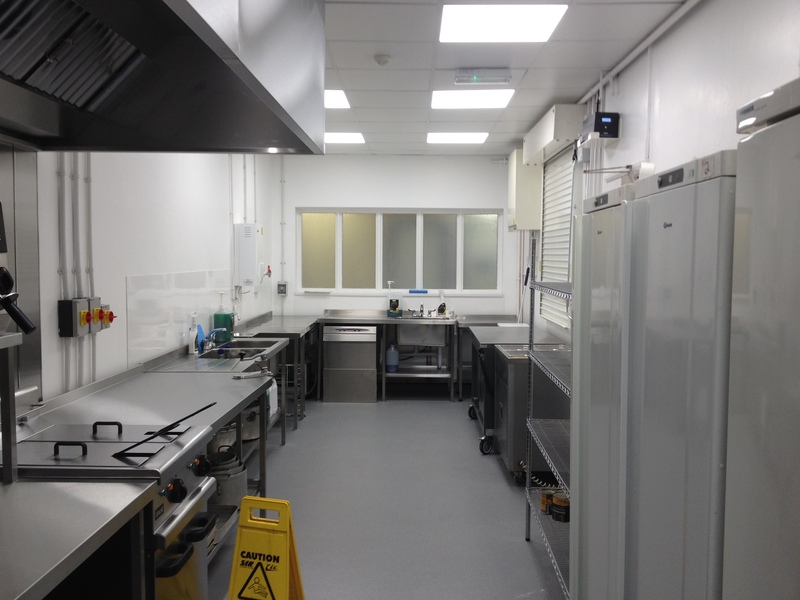 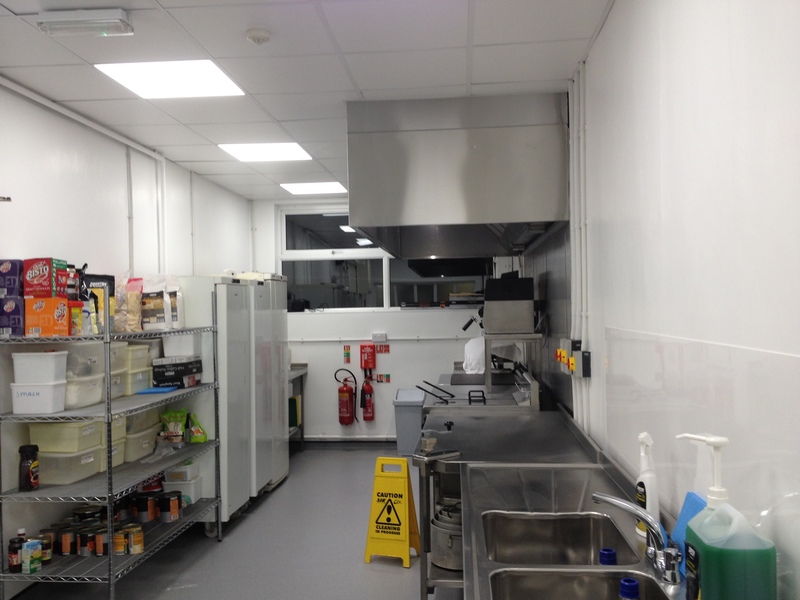 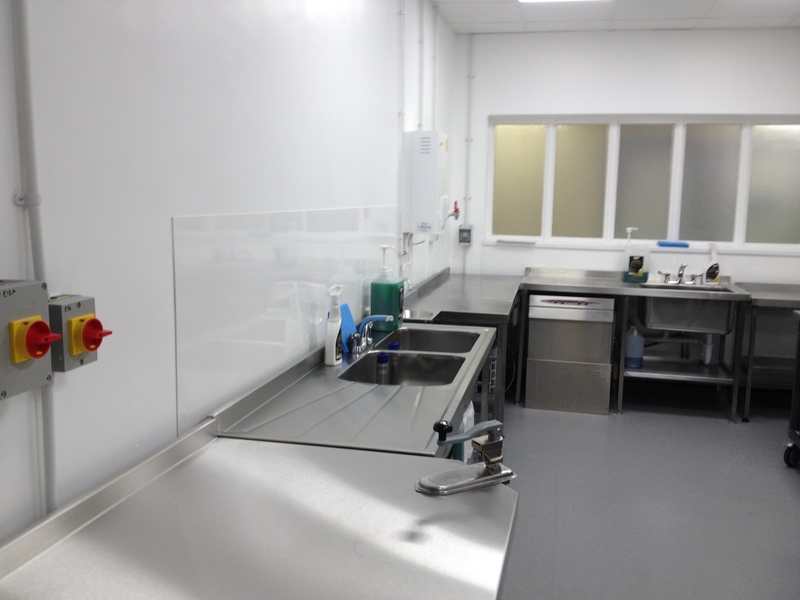 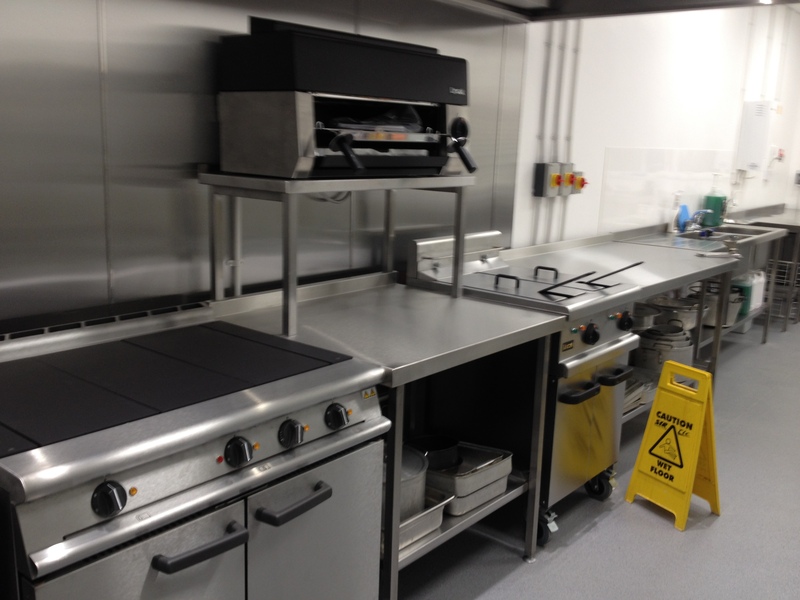 We tendered for the new commercial kitchen supply and fit at HERIB in Hull. 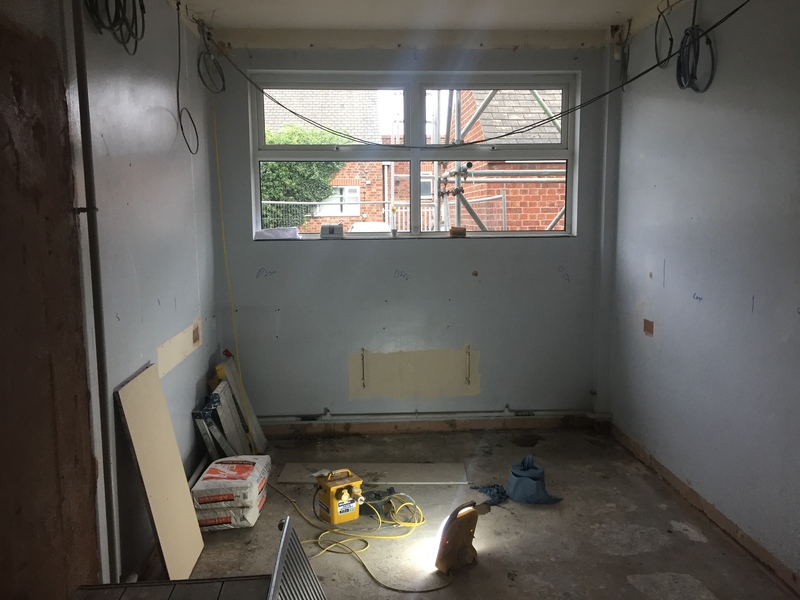 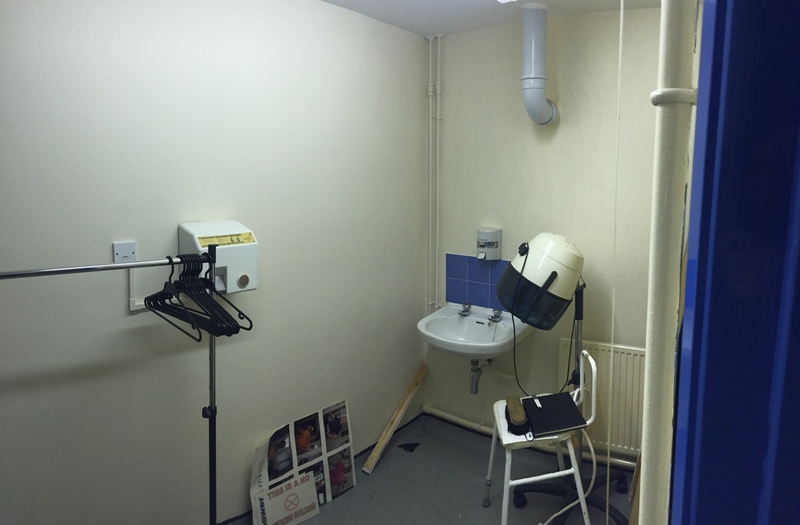 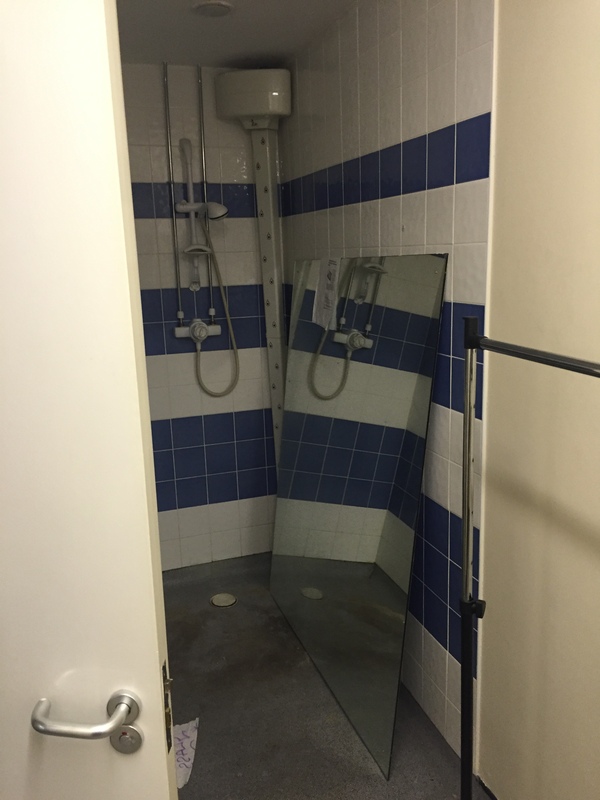 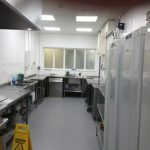 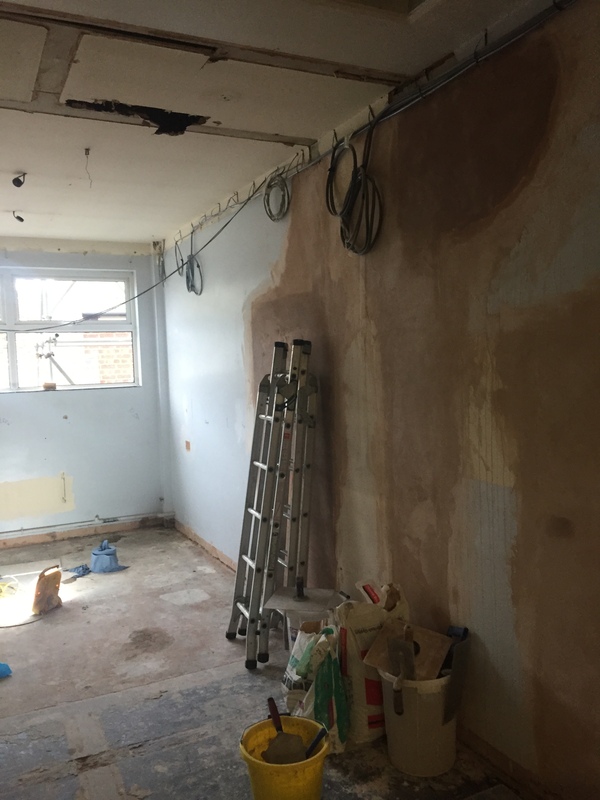 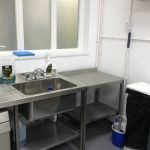 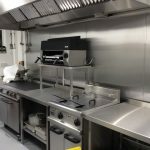 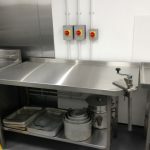 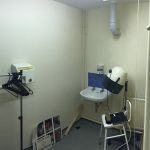 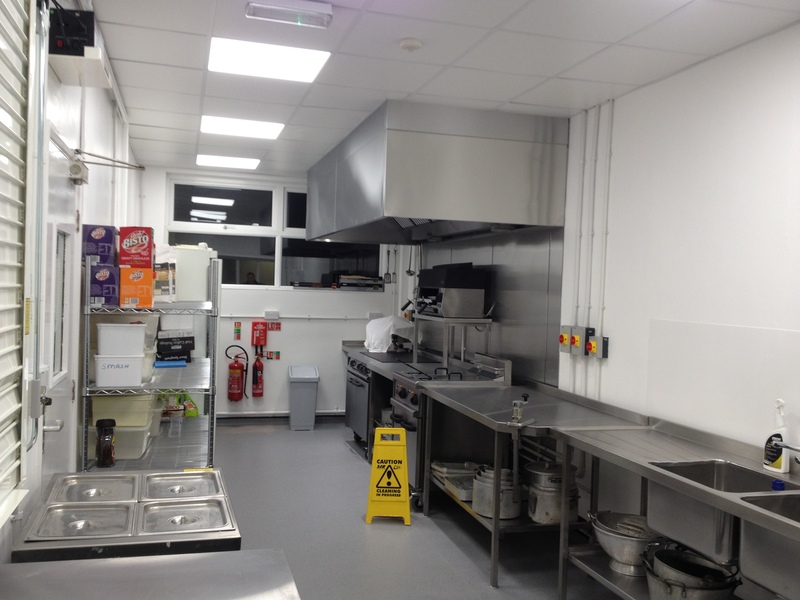 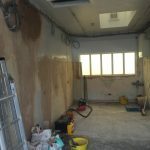 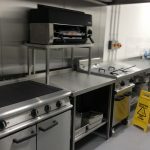 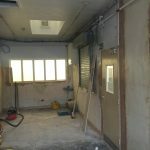 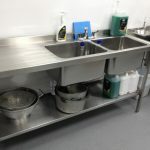 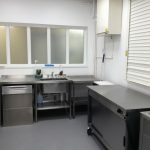 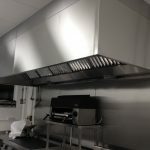 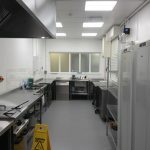 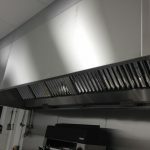 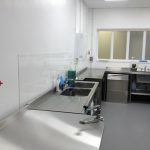 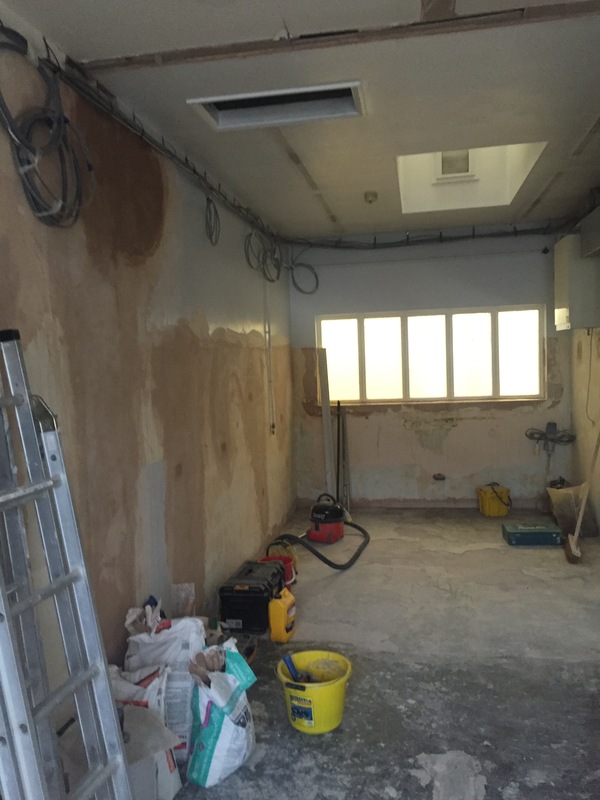 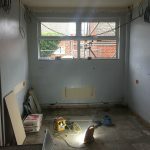 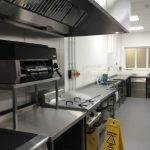 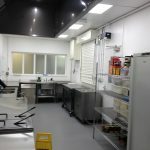 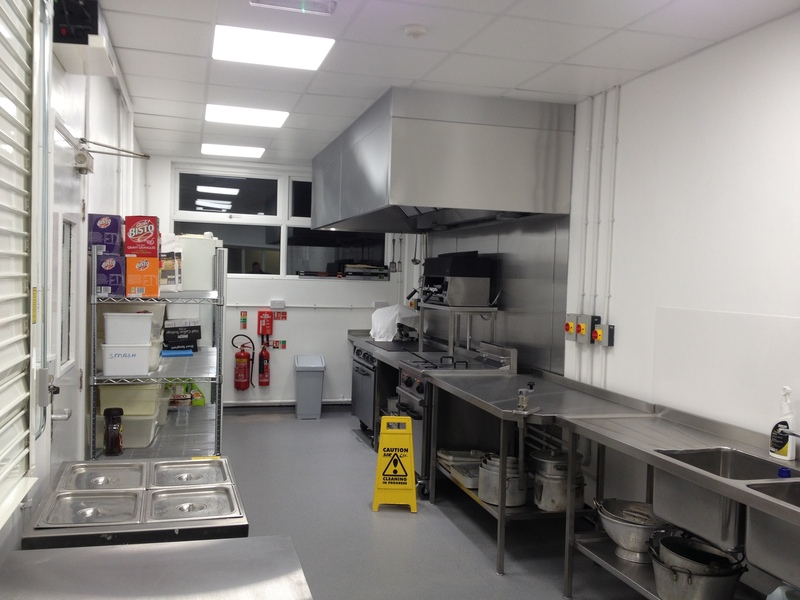 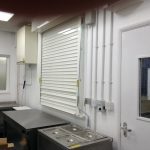 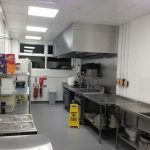 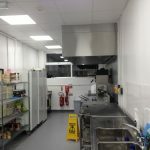 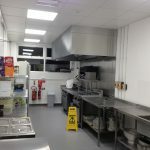 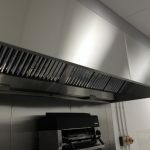 The new commercial kitchen was to be fitted in a new location in the building where 2 adjoining rooms where situated with a wall in between the rooms. 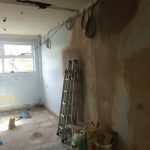 The brief was to knock the existing wall out and make the two rooms into one large room big enough for the kitchen that was required. 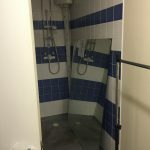 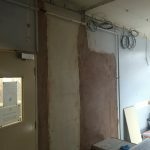 The first aspect of the job was to knock the existing brick walls out that were separating the two adjoining rooms to make one large room. 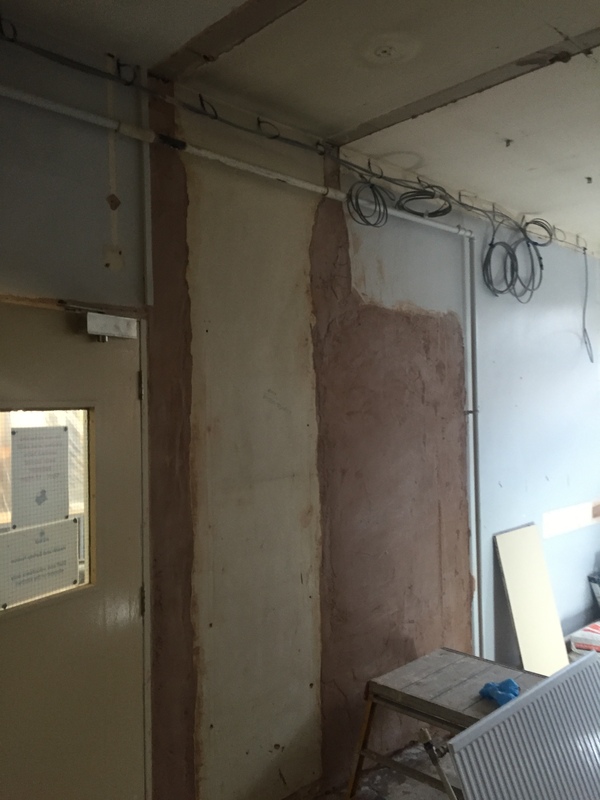 We then had to block up two existing doorways that were originally in the second of the adjoining rooms. 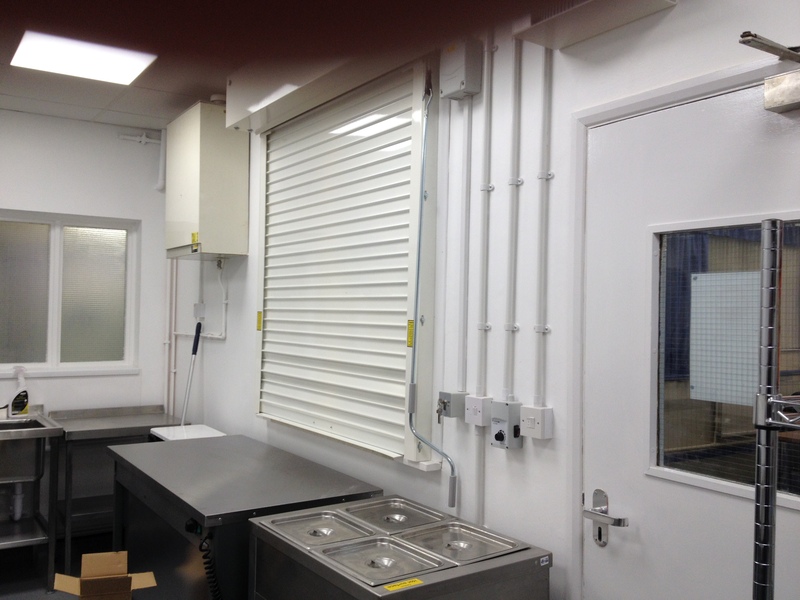 We installed a new distribution board to take the increased load that is now being used. 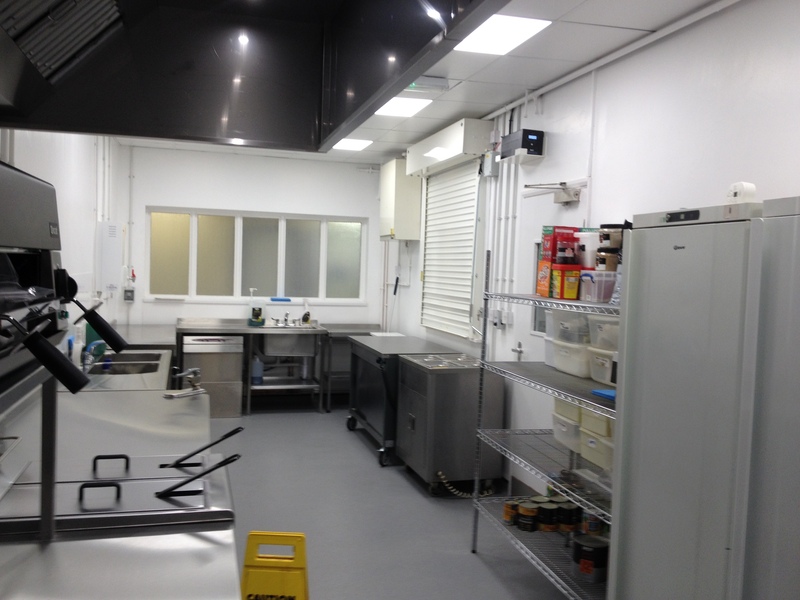 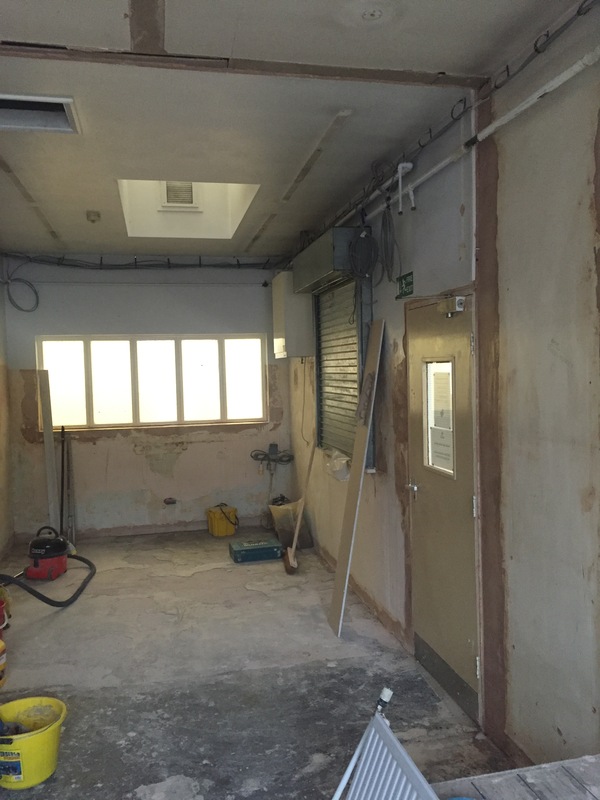 We installed all electrical points and required pipe work ready for the installation of the new commercial kitchen. 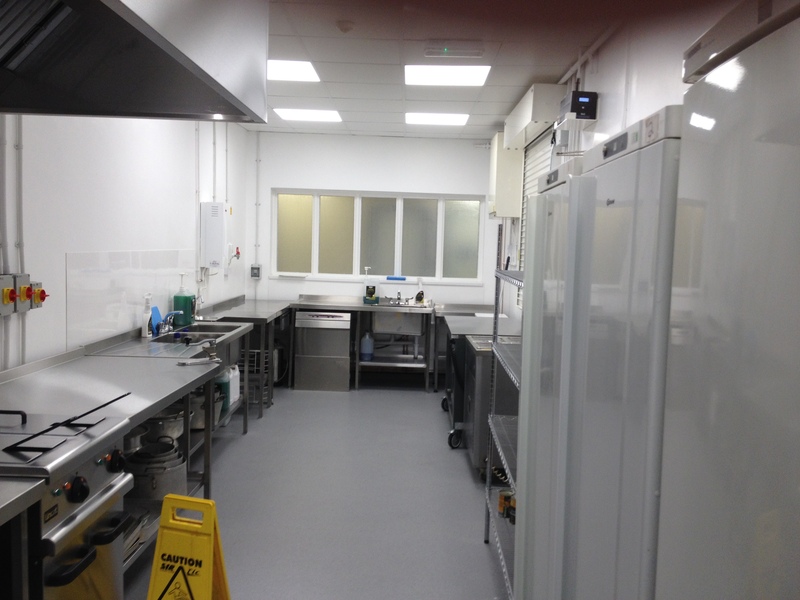 New flooring supplied and fitted and full decoration throughout. 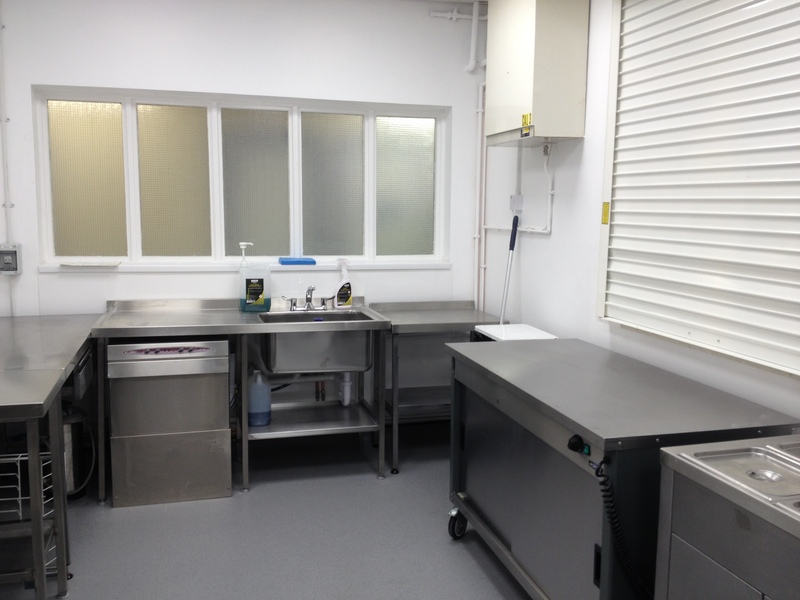 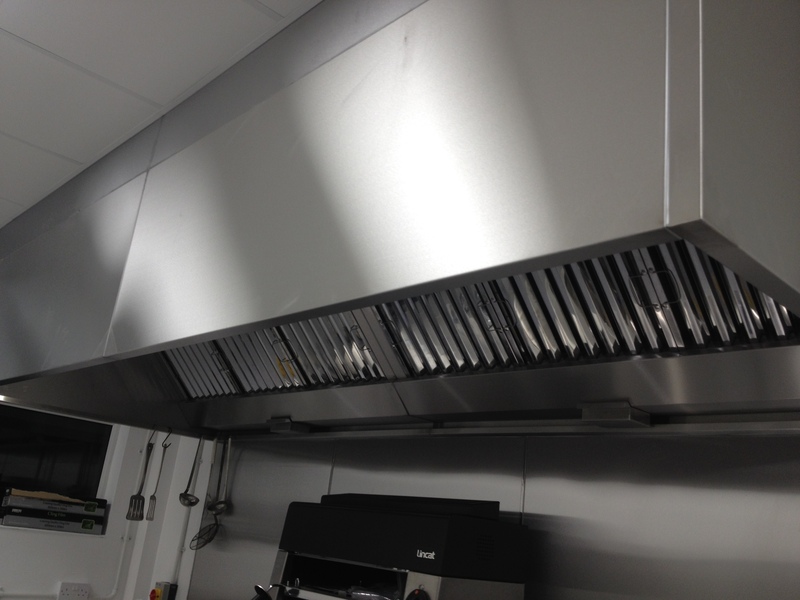 Installation of new falcon and lincat commercial kitchen equipment.